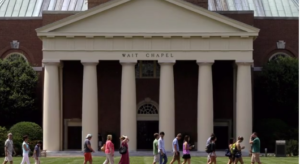 The Wake Forest scandal, nicknamed “Wakeyleaks” by the sports media, is heating up. Louisville’s athletic director Tom Jurich confirmed radio announcer Elrod gave “a few plays” to the Louisville’s offensive coordinator before their matchup with the Demon Deacons. What’s so outrageous is Louisville acknowledged they cheated but has asked to be left alone so they can prepare for their bowl game. And, what about Wake Forest’s poor quarterback who was sacked numerous times during that game and other games because team’s knew the plays ? It’s mind boggling football coaches would think it’s morally acceptable to use confidential information from an informant to win games. In fact, Wake Forest recently contacted Army to see if they received leaked game plans as well. The Atlantic Coast Conference is researching the scandal and it’s likely this story won’t go away anytime soon. Sports Illustrated named LeBron James Sportsperson of the Year and Michael Phelps the “Greatest Olympian of All-Time”. 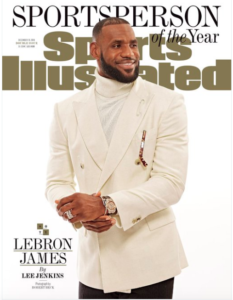 LeBron has been on the cover of SI 26 times and has been named twice as sportsperson of the year. Phelps ended his Olympic career as the most decorated Olympian with 23 Gold medals (28 medals overall).